The soap oprea that has kept Seton Hall fans on pins and needles has come to a conclusion. 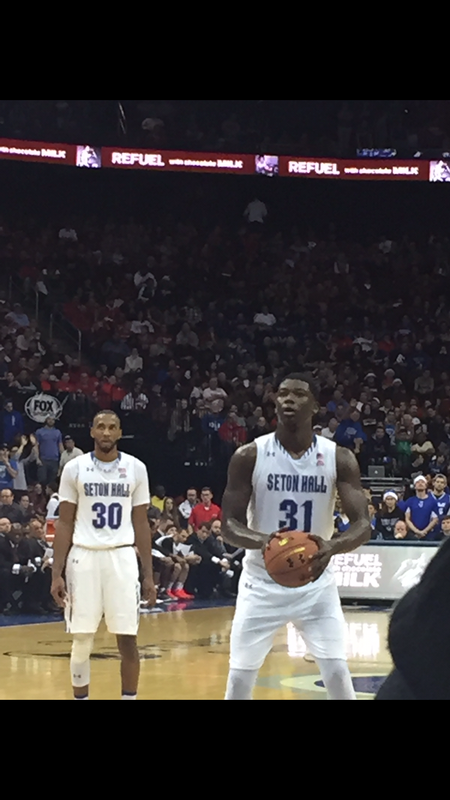 After much speculation and reading through the tea leaves, Seton Hall center Angel Delgado announced he will be returning to South Orange for the 2017-18 season via his twitter feed. The senior met with multiple agents and the Seton Hall coaching staff and determined that he should head back to school to improve his draft stock for the NBA. Delgado’s numbers were gaudy in 2016-17, averaging 15.2 ppg and 13.1 rpg while leading the Pirates to their second consecutive NCAA Tournament appearance. He was first team all-Big East and was a finalinst for the Kareem Abdul-Jabbar award for the nation’s top collegiate center. He led the NCAA in rebounding and had 27 double-doubles in 2016-17. Delgado’s return along with Khadeen Carrington, Ish Sanogo and Desi Rodriguez all returning for their senior year along with a solid recruiting class could make the Pirates an easy pre-season Top 25 team. The 2017-18 Pirates non-conference schedule is daunting. It features games at Louisville, home against Indiana and the NIT that includes Virginia, Vanderbilt and Rhode Island. Having Delgado return into the fold in Big East play gives them a good chance to return to the Big East Championship game. I’ve talked with a few on-campus sources and they said that Kevin Willard and his staff were gobsmacked with the news that Delgado intended to sign with an agent and turn pro. Although Delgado wasn’t showing up on many teams draft boards, the option to play professionally overseas was very much on the table. After consulting with the coaching staff and looking at his options, Delgado wisely chose to return and build on last season’s success and help his cause to play in the NBA. The senior has shown remarkable improvement from his freshman year in developing his game on offense and has added significant muscle that has helped him dominate the boards on both ends of the floor. Dream big this season Seton Hall fans. This could be the season that the Pirates play in the second weekend and beyond in the NCAA Tournament.